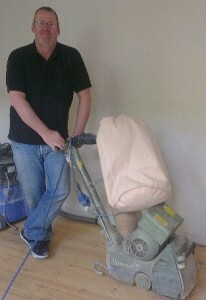 AJ Floor Sanding, Court Marking & Sealing is a family owned business based in Evesham, Worcestershire. The business is run by Alister Jacob, who has over 30 years floor sanding experience both in the domestic and commercial fields. We don’t supply new floors – we only focus on sanding and refurbishing existing floors and sports surfaces, and this, (in most cases) is the more cost-effective solution to return your floor to it’s former glory. We pride ourselves on providing an reliable, honest and affordable service to the highest standard. Our Testimonials are an indication of the level of service we provide. If you would like AJ Floor Sanding to service your floor or have a query you’d like to ask us, then please call Alister on 07901 566644, or use our contact form on this page.